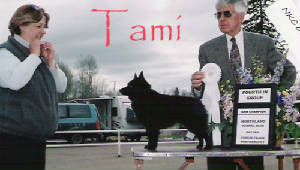 We are NOT a commercial kennel or breeding facility. 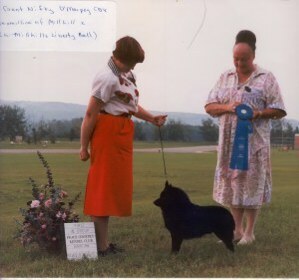 We are a hobby kennel under CKC registration. 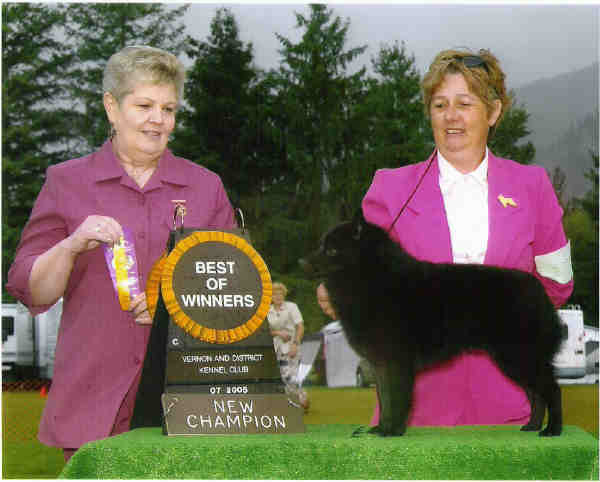 When we have a litter, it is bred for myself to keep a pup for showing in CKC registered events. 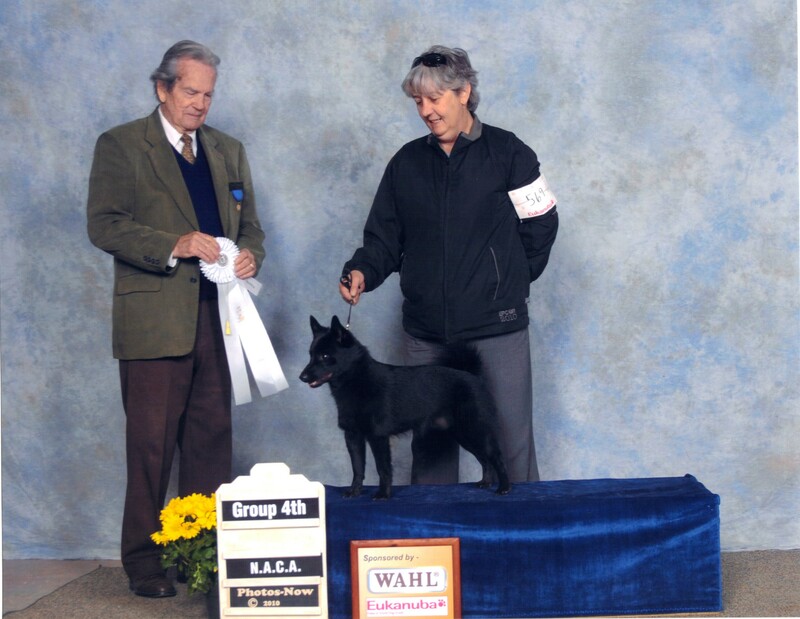 Our pups go to homes where they perform in obedience, agility or conformation to responsible owners. 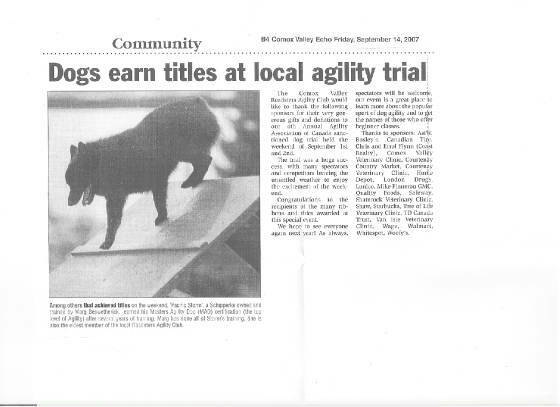 This is not a business! 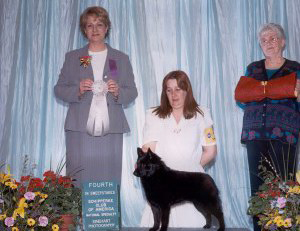 This is a hobby and for the love of the breed. 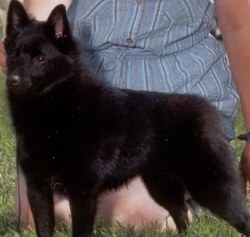 As a responsible owner we promote spay and neuter of all pets and do rescue work for Schipperkes. 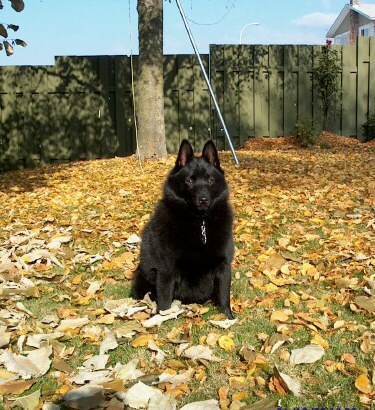 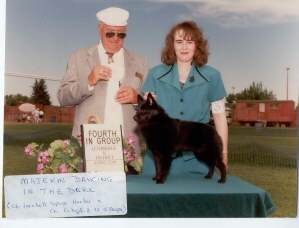 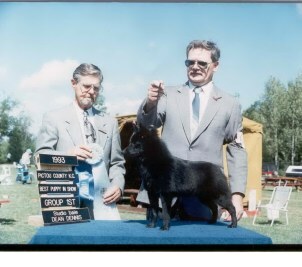 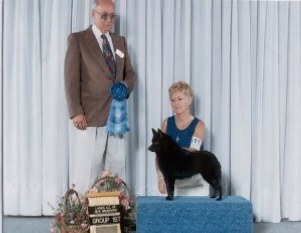 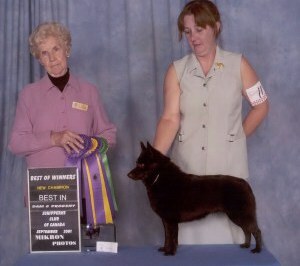 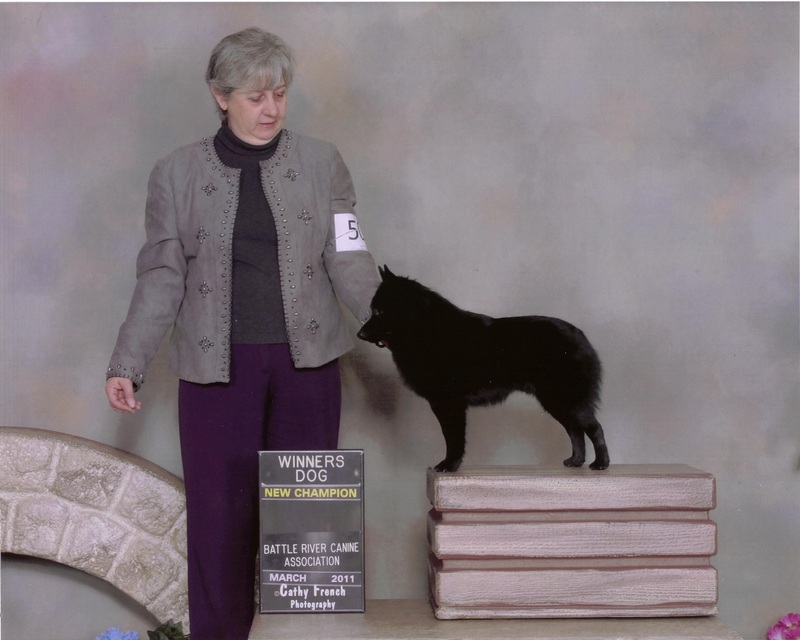 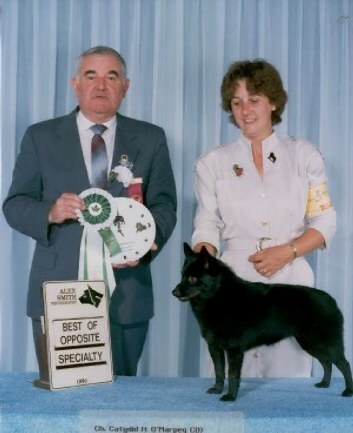 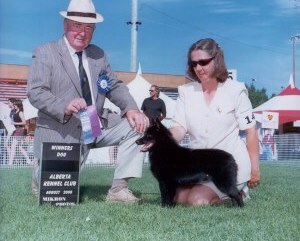 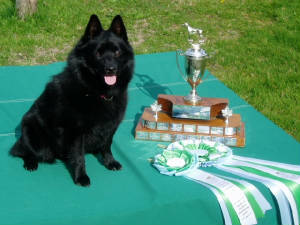 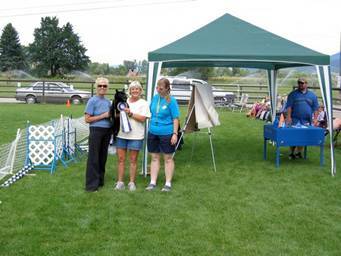 Founded in April 1989 - Majekin has won Pedigree Top Schipperke Breeder in Canada several times. 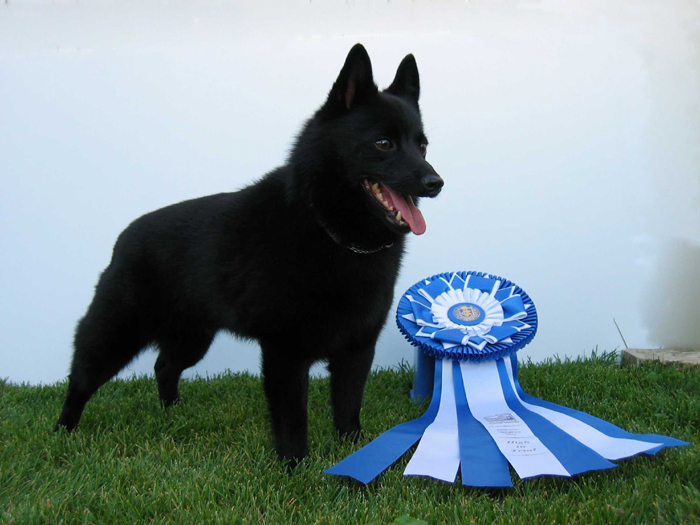 Breeding only quality from genetically health tested dogs, a Majekin bred Schipperke is the test of quality. 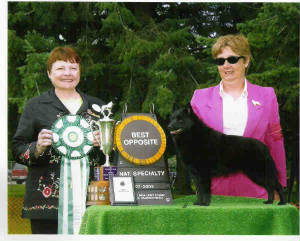 Special puppies are available to select special homes only and expect to be on a waiting list. 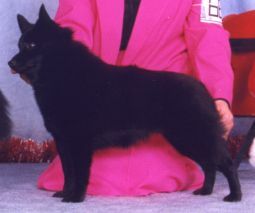 A note on tail docking - pups are docked at 3 - 5 days of age. 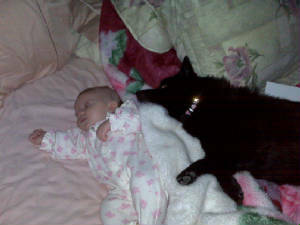 This is done with much care, in a responsible and humane manner and in just moments they are back nursing with mom. 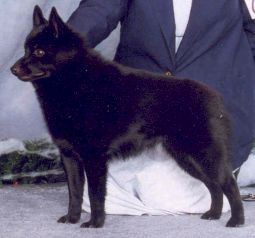 It is rare for a schipperke to be born without a tail. 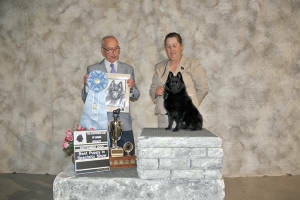 Majekin became Permanent Registered with 4 champions in our first 2 litters, and several litters with 3 finished champions in each litter. 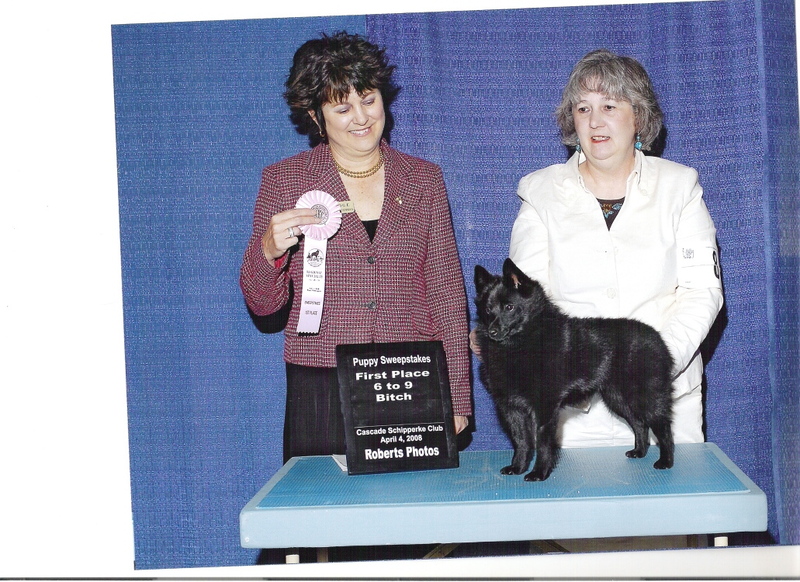 At Majekin our first several generations of dogs all had hip xrays, thyroid testing and we still do eye checks through CERF. 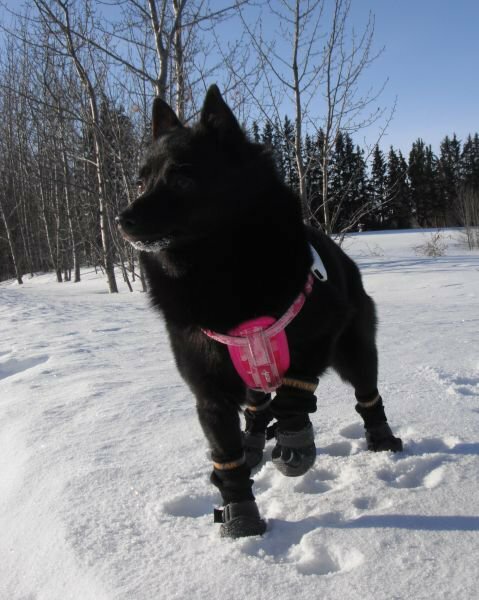 Hip xrays are now done at our vet and records are kept at the vet office. 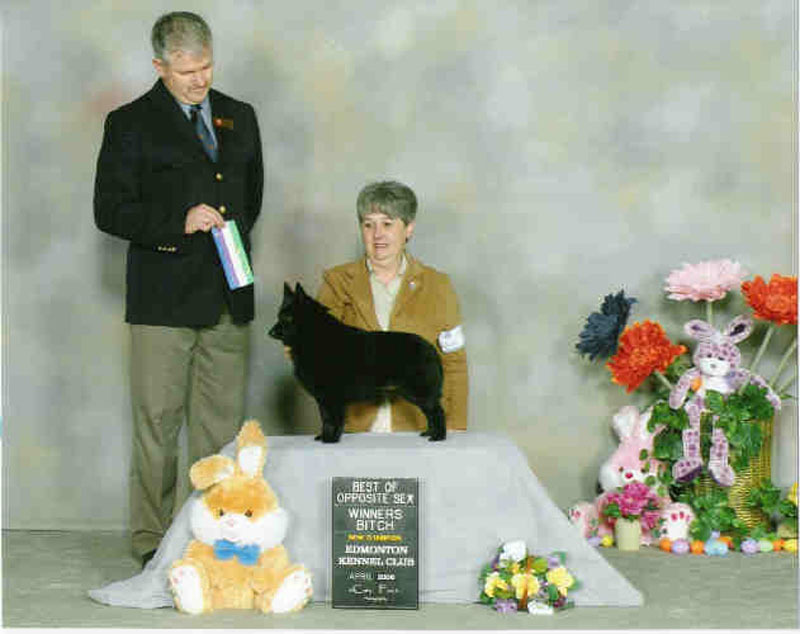 OFA and CERF results may be checked online. 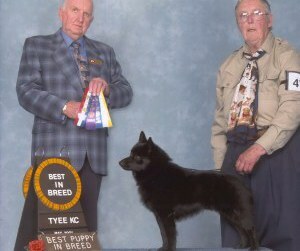 All our dogs are tested or out of tested parents for MPS3B - which is a mutant, fatal genetic defect. 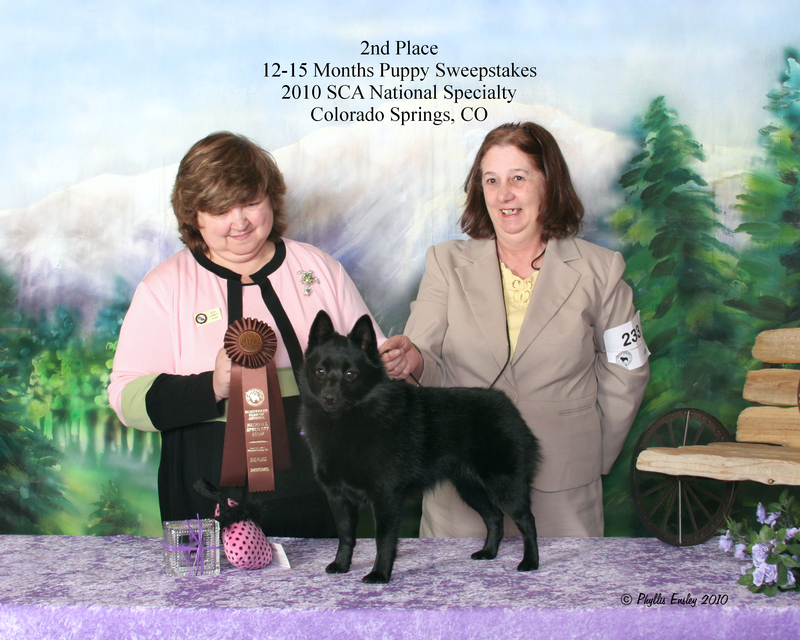 If you are purchasing a Schipperke, ask to see the results of testing. 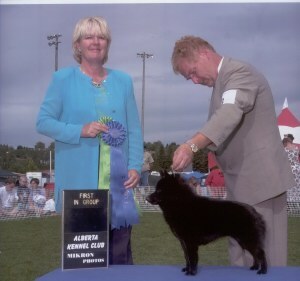 Do NOT breed 2 carriers together as that will produce affected dogs. 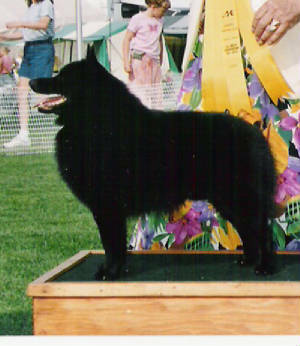 This gene is fatal to affected dogs. 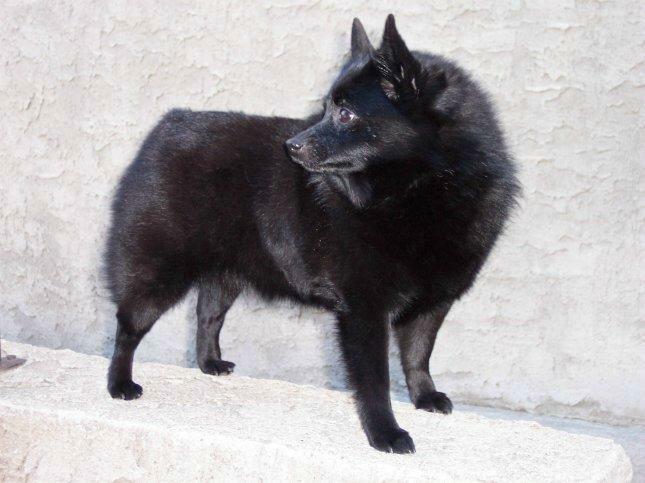 Majekin has purchased only one Schipperke that is a tested carrier and he has been used with a normal female and we will continue the bloodlines with one of the normal offspring. 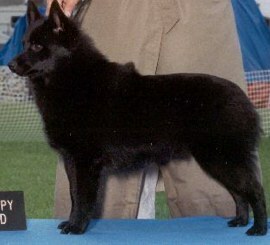 One of the most titled Agility Schipperkes is Amigo. 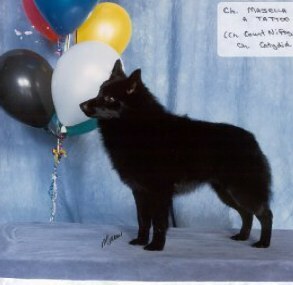 Above are some of the Schipperkes of distinction from Majekin.